Once again, a bookseller hands me a book and says, “I think you’ll like this,” and I wrinkle my nose. I don’t like the cover, I don’t like the title, and I can’t quite wrap my head around the way she describes it to me, which is: A John Irving kind of saga, but Irish and gay. What? Are there gay Irish bears and gay Irish boxers? However, I do love John Irving, despite his being a man, and I like the bookseller, and she is insistent. Then she adds what she thinks is the piece de resistance: It’s by the author of The Boy in The Striped Pajamas. What? A young adult author? Something inside me is screaming noooooooooooo. But she is making a sad puppy face, so I buy the book. 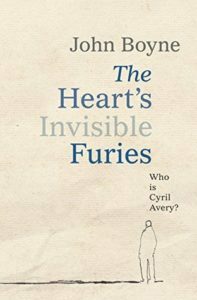 What I discover, as I dive in, is that you can think the title is stupid and the cover is boring and still fall hopelessly in love, as I did with The Heart’s Invisible Furies. It IS about the life of a young Irish gay man, his adopted parents, and his birth parents. But it’s also about Irish history, and friendship, and parenting, and betrayal, and missed opportunities. And mostly – it’s just heartbreaking and hilarious in equal measure. I cannot remember the last time I laughed so frequently and cried so hard reading a book. And that’s the thing I want most – the full emotional spectrum, with or without bears. 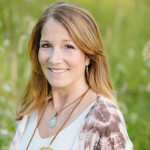 Kelly Simmons is the author of the critically acclaimed novels Standing Still, The Bird House, One More Day, and the just-released The Fifth of July. In addition to Tall Poppy Writers, she’s a member of Women’s Fiction Writers Association and The Liars Club. She has a lot of children, dogs and cats, but not much jewelry. It’s going on my TBR list!